Lisaa School Of Design looks for talented, intelligent and ambitious students who work hard round the year to build their career in the field of Art & Design. 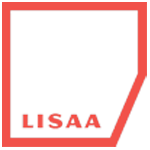 Lisaa evaluates students on the basis of their creativity, asthetic sense, communication skills, commitment levels and ability to handle stress. Step 1 Log on to (www.lisaadelhi.com) and register for All India Lisaa CAT. Step 2 Password will be shared by the admissions team. Step 3 Student has 6 hrs to complete the exam and submit the answer sheet. Step 4 Result declaration in 24 hrs. Step 5 Personal interview through Skype,phone or in person & portfolio assessment. Step 6 Fee Payment within 10 days of receiving confirmation. Log on to www.lisaadelhi.com and register for All India Lisaa CAT offline exam. The results will be declared in 24 hrs followed by personal interview & portfolio assessment.